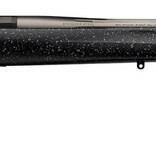 Browning X-Bolt Max Long Range - Corlane Sporting Goods Ltd. The popularity of long-range target shooting and longer range hunting has more shooters honing their ammunition and rifle set up to help ensure that their shot at a once-in-a-lifetime trophy finds its mark. The new Max stock found on select Browning X-Bolt rifles is designed to help improve your shooting confidence by offering the adjustments necessary to use the optics you want and get the repeatable fit you need.